The Crown Inn has a wealth of character, with lots of original features, a lovely open fireplace, private restaurant and secluded beer garden. The pub has four cosy rooms, our recently refurbished family room, en-suite rooms attached, all with tea and coffee making facilities and televisions. Every room is sold room only, we do however serve breakfast at Ty Morgan's down the street from 8am. 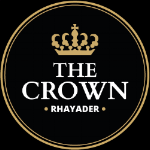 It is located in the centre of town which makes it an ideal base for exploring all the fantastic things Rhayader, Elan Valley and the surrounding area has to offer. After a long day of exploring there will be a friendly welcome from our staff and a delicious hot meal waiting for you.